Paddling in the Adirondacks, whether it be canoeing, kayaking or rafting, is one of the most rewarding and enjoyable activities! 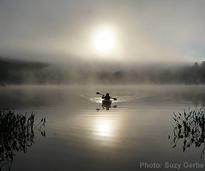 If you haven't already, plan a paddling excursion this season and see for yourself what fun it can be. 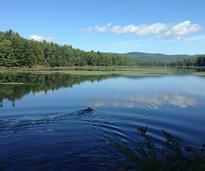 See a map with plotted points for Adirondack lakes, ponds, and reservoirs to help you discover new bodies of water that might be great places for your next paddling trip. No matter what your experience level when it comes to paddling in a canoe or kayak, we can outfit you for the trip with gear and knowledge! 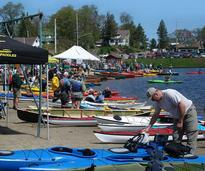 Adirondack Paddlefest is America's largest on-water canoe and kayak sale. 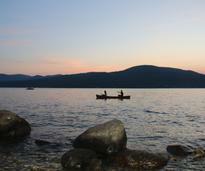 Test canoes, kayaks, and stand-up paddleboards, PLUS get expert instruction! 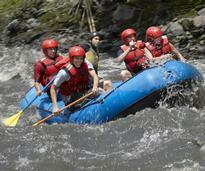 Experience a thrill ride only Mother Nature can provide. 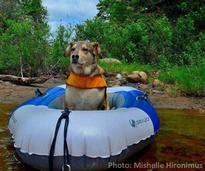 Choose one of the guide companies in our whitewater directory, and have the adventure of your life. 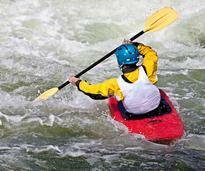 The annual Whitewater Derby is the area's longest running whitewater event, including a slalom race, giant slalom race, music, and awards! 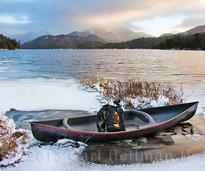 Check out some great Adirondack paddling photos submitted by our Facebook fans! Why paddle? From physical to mental health benefits, bonding and more, you'll find that paddling is an activity with endless benefits!